Don't be shy; melanoma isn't, and finding it early could save your life. To that end, our education team has developed this helpful guide to self-screening. Follow the steps each month and pay attention to moles or spots that change shape, size or color. 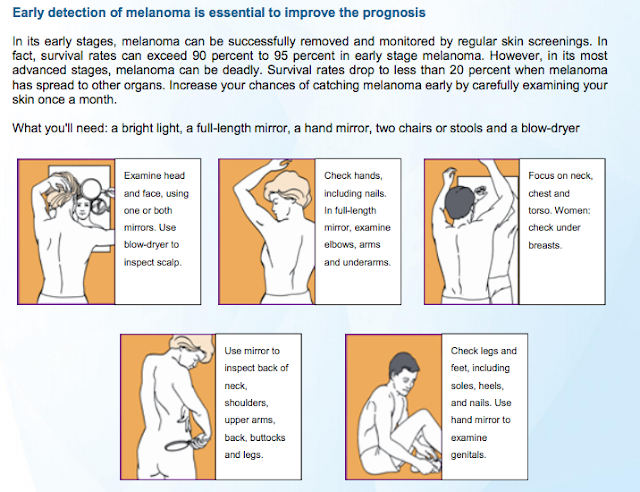 Know the ABCDE guide of melanoma. See something unusual? Make an appointment with a dermatologist as soon as possible.